There’s a lot of talk about the United States Generally Accepted Accounting Principles (US GAAP) and the International Financial Reporting Standards (IFRS.) In this article, we’ll share some of the most important differences between these two standards so you can better understand both of them. There’s a lot to know about the “US GAAP vs IFRS” debate. Here are of the some basic, important differences between these two systems that accountants should understand. Here are three differences that you should understand. As is stated in its name, the International Financial Reporting Standards is an international accounting standard. In fact, the IRFS is used in more than 110 of the world’s 195 countries. In the typical American fashion, US GAAP is only used in the United States. It’s worth noting that some other countries also have their own, standalone, accounting standards as well. But those aren’t as important when we’re discussing US’ accounting practices. In 2017, the US Securities and Exchange Commission’s Chair, Mary Jo White, drafted and released a public statement about the US GAAP. According to her, the US would stand to benefit by aligning its practices with the IRFS. With the IRFS, we could have a more globally competitive accounting system. She said the US GAAP would continue to be the standard accounting practice in the US, but there should be a consolidation of sorts. This consolidation would bring our practices in line with other countries. Such a consolidation would make it easier for investors to make informed decisions about who to invest in globally. Right now it’s difficult to compare US companies with international companies for the reasons we’ll discuss here. All types of revenue that fall into one of these categories will obey the same rules. This gives the IRFS more uniformity and makes it easier to compare different companies in different industries. The way it is now with the US GAAP, you would have to go purchase by purchase, convert them to one standard or the other, and compare them after that. LIFO stands for Last-In-First-Out. It’s a way of comparing a company’s cost of goods sold (COGS) to their ending inventory. To oversimplify a bit, LIFO or FIFO (First-In-First-Out,) is a method of calculating the cost of a single good when different amounts of that good were bought at different times and at different prices. The US GAAP, which allows companies to use LIFO and FIFO, creates an estimate for these above-mentioned numbers. IRFS does not allow for estimates and expects you to produce harder data that more accurately tells government agencies and investors how much inventory you had, how much it cost to acquire, how much of it you sold, and how much the remaining inventory is worth. This is one of the biggest rule differences between the US GAAP and the IRFS that makes companies operating under opposite standards hard to compare. It’s difficult to compare industries because the US GAAP gives a company the option of how they want to calculate their costs, while the IFRS requires everyone to calculate their costs in the same way. 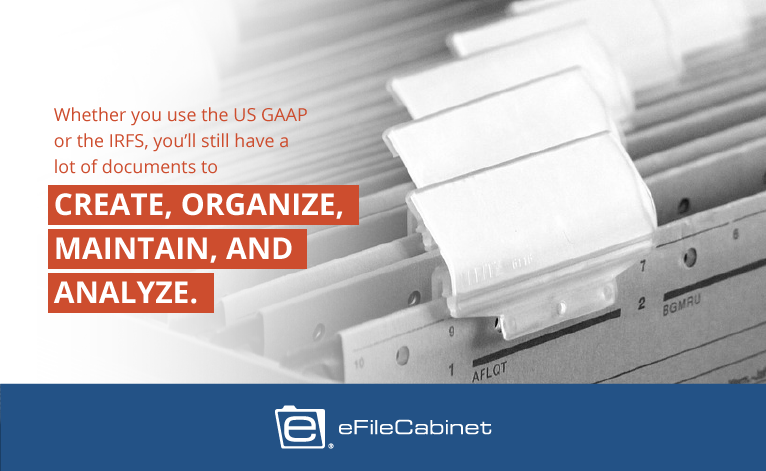 Whether you use the US GAAP or the IRFS, you’ll still have a lot of documents to create, organize, maintain, and analyze. 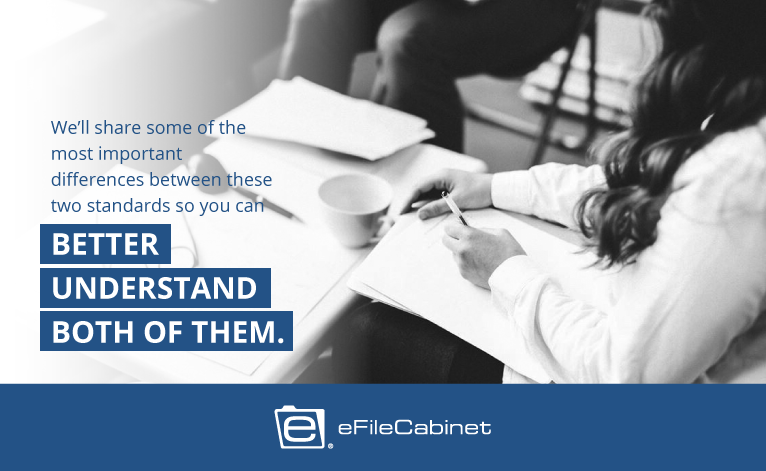 eFileCabinet can help you create workflows, auto-populate documents, digitize paper documents, and give people permissions to access, analyze, and manipulate them. All you have to do is set up the rules you want eFileCabinet to follow and then it will follow those rules every time without ever having to be reminded. 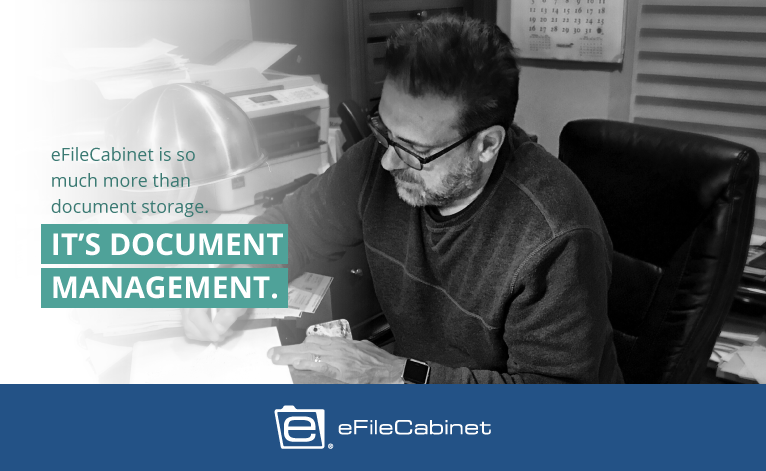 eFileCabinet is so much more than document storage. It’s document management. Download our accounting document management ebook and learn about all of the ways eFileCabinet can keep you and your company compliant no matter which accounting standards you use, and no matter how those standards change in the future.